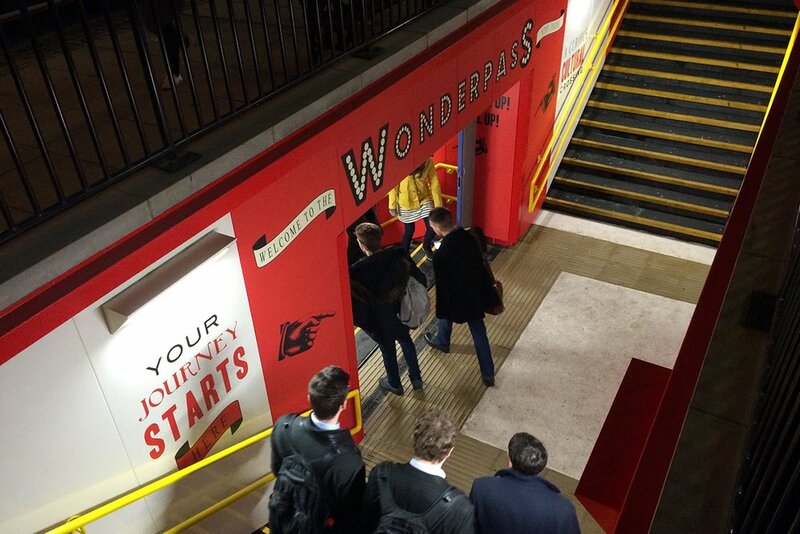 THE MARYLEBONE ROAD'S ONCE BLEAK PEDESTRIAN UNDERPASS HAS BEEN TRANSFORMED INTO AN INTRIGUING WONDERPASS. GONE ARE THE DINGY WALLS AND UNRELIABLE LIGHTING: IN ITS PLACE IS AN ENGAGING CULTURAL WALKWAY, OFFERING PEDESTRIANS AN ENLIGHTENING WAY TO CROSS THE ROAD. 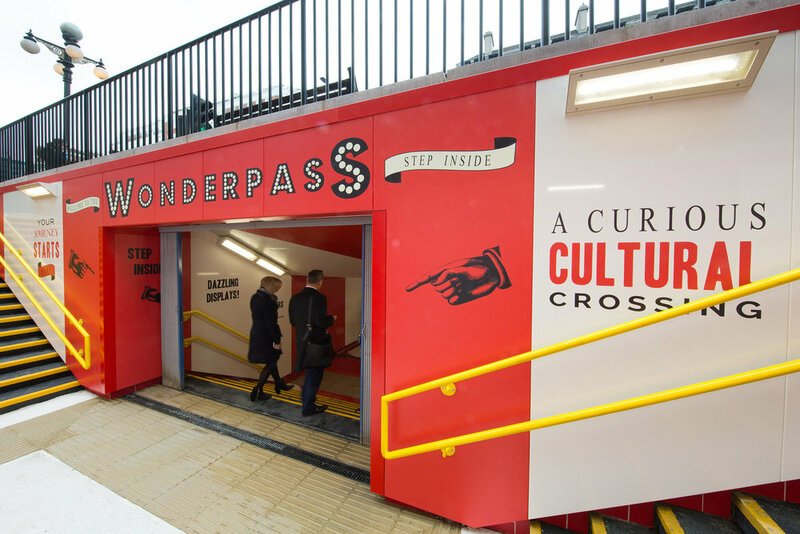 Part optical illusion, part local encyclopedia, part gallery, The Wonderpass introduces a new kind of urban crossing – one that actually encourages lingering en route. The walk-through experience includes five 'Cabinets of Wonder'. Each invites the passer-by to peek inside to learn about Baker Street’s rich cultural history and has been designed in partnership with a local cultural attraction.